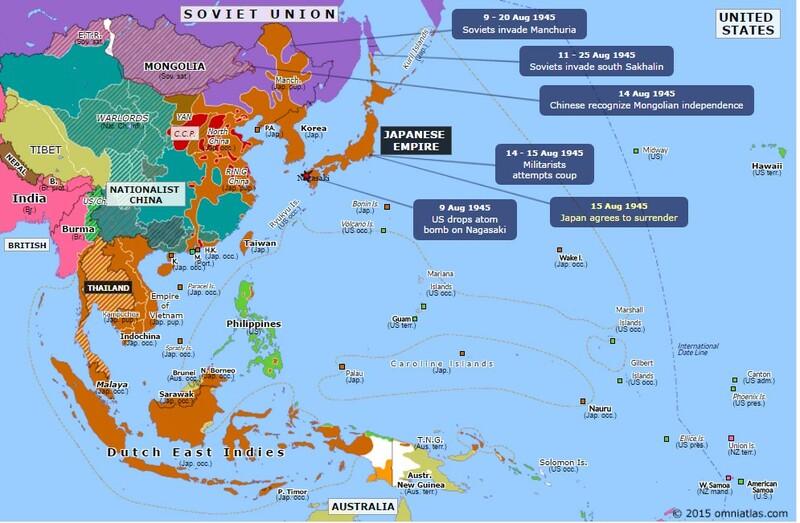 http://omniatlas.com/maps/eastasia/19450815/ has a map that shows the Empire of Japan. It was very big even during the surrender. I am adding a map of 1942, to show Japan's maximum extent, to contrast with the excellent map put up by Sadiq. Compared with 1942, Japan had lost most of Burma to the British, and most of Manchuria to the Russians. The Americans had recaptured the Philippines, and numerous Pacific islands. 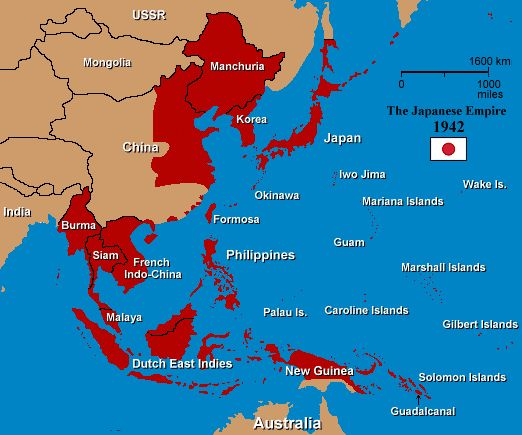 But Japan had maintained her home territory (except for Iwo Jima and Okinawa) and even increased her holdings in China, holding onto Vietnam, Laos, and Cambodia in Indochina. cbi-theater.com has a map that shows the Empire of Japan in 1942. Not the answer you're looking for? Browse other questions tagged world-war-two japan maps or ask your own question. What were Hiroshima and Nagasaki known for prior to World War II? What relief efforts did the Japanese attempt after the atomic bombings? What kind of atomic bombs were anticipated after Nagasaki?